Becoming a classic ‘Chirp’ for Lenox presents a sophisticated color palette of delicate floral’s with playful birds creating a beautifully modern narrative. ‘Floral Vine’ commission for Anthropologie combines exquisite florals and modern geometrics with luxurious metallics. French Garden Menton is one of the most iconic patterns for Villeroy & Boch. This was a special commission for the famed German brand established 1748 and a true honor. 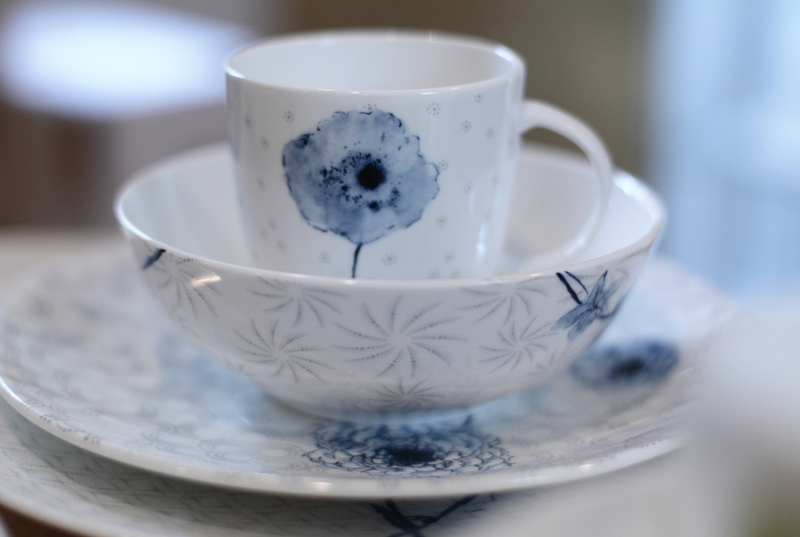 A line of delicate and sensual dinnerware incorporating the the ‘Lismore Butterfly’ commissioned by Waterford. Faithfully capturing the orginal watercolor artwork, this line from Tarhong of practical melamine is great for every day use.